Born with a rare condition called 'Usher syndrome' a rare and incurable genetic disorder that can cause hearing loss and visual impairment. Joanne Milne has been deaf since she was born. In her mid twenties, this cruel condition started affecting her eye sight. 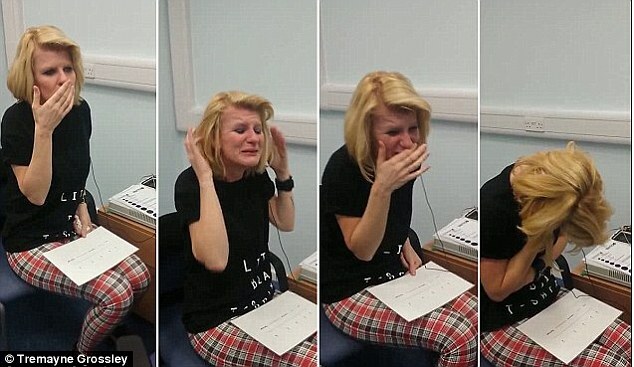 However, the now 41 year old woman made headlines last year when she began to hear sounds for the very first time after doing cochlear implants. As she heard words being spoken to her for the very first time, it was a heart warming moment and dream come true for her. The video below showed her overwhelmed with emotion with a huge smile on her face as she struggled to fight back her tears. I find it really inspiring...anything is possible if you believe!